A project with Shingo Hamada of IUCN CEESP on how the exchange of food gift weaves inter and intra-communal social networks in the mid of the herring conservation controversy in the North Pacific. A project to analyze how the creation of Alaska Native business corporations (spawned by the Alaska Native Claims Settlement Act of 1971) transformed institutional arrangements between Alaska Natives, state governments, ecosystems, and regional-global economies, and how these Native corporations have contributed to particular outcomes in indigenous groups' biocultural health as measured by indigenous and cross-cultural models of sustainable livelihoods and ecosystem services. 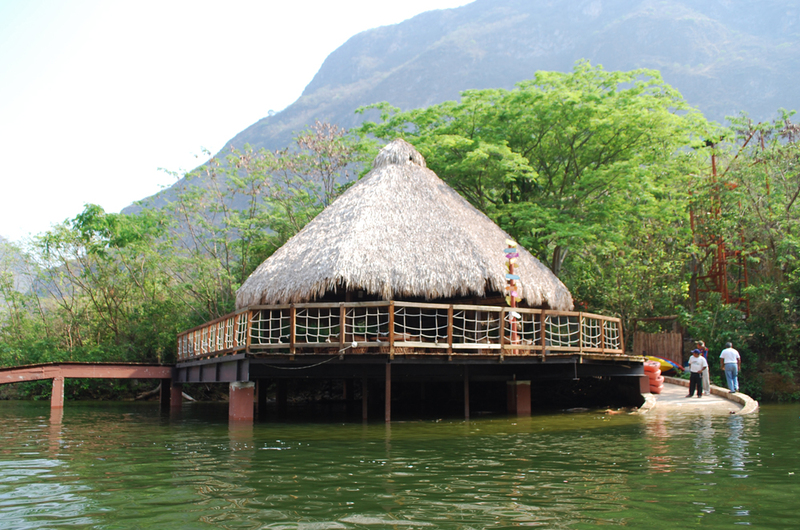 This project identifies best practices in the development of indigenous ecotourism from a social entrepreneurial and cultural-institutional perspective. 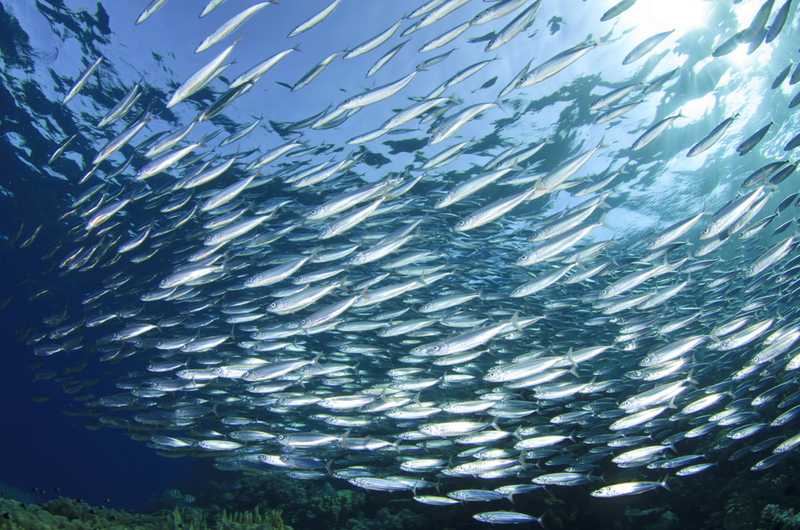 Pacific herring are a foundation and bellwether species for North Pacific marine ecosystems. 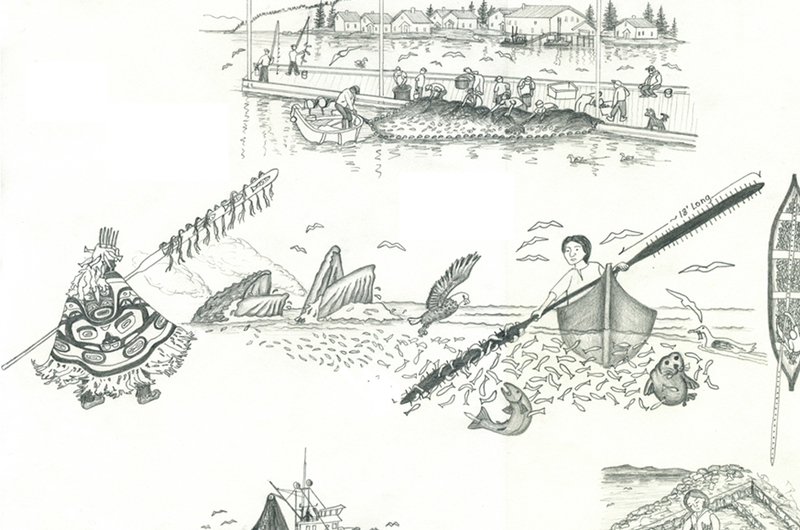 This project aims to address the gaps in long-term historical and cultural ecological knowledge of Southeast Alaska herring using interviews, archaeological, ethnological, historical and biological records. The SAFE project explores how forest biodiversity and ecosystem function vary along a gradient from intact forests (Maliau Basin), through to logged forest, fragmented forest and oil palm plantations in Sabah, Malaysian Borneo. In association with the SAFE, the BALI project (Biodiversity and Land Use Impacts on Tropical Ecosystem Function) is a large NERC funded consortium project looking at the interactions between biodiversity and biogeochemical functioning along disturbance gradients in Borneo. CLIMSAVE was a project to develop and apply an integrated methodology for stakeholder-led, climate change impact and vulnerability assessment that explicitly evaluated regional (sub-national) and continental scale adaptation options, and cross-sectoral interactions between the key sectors driving landscape change in Europe. The aim was to deliver a comprehensive and integrated methodology to assess cross-sectoral climate change impacts, adaptation and vulnerability. The DETER 'Near Real Time Deforestation Detection System' used remote sensing techniques to detect land cover changes within the Brazilian Amazon area. The research was carried out using MODIS remote sensors with high temporal observation frequency on board NASA's Terra and Acqua satellites, and the WFI sensor, on board CBERS-2 satellite. The world's rainforests are one of the most important ecosystems on the planet, often referred to as the 'lungs of the planet' because of their ability to uptake carbon dioxide from the atmosphere. ECI has played a leading role in understanding the dynamics and ecology of such forests and are involved in large-scale monitoring projects within the Amazon region to better understand the ecological and climatological changes taking place. Fire is critical for healthy ecosystem functioning in savannas and is widely used as a tool in conservation management. Effects of burning on biodiversity have been poorly understood. Burning for Biodiversity in Africa was a project that brought together biodiversity research with capacity building and external communication to promote effective fire and conservation management in South African savannas. In 2005, the University began a major forest-climate research programme in Wytham woods. Activities included establishing a network of forest pilots to look at the impact of forest fragmentation on climate resilience, the rehabilitation of a canopy walkway, the implementation of continuous measurements of carbon dioxide, water and energy fluxes from a tower above the canopy with regular studies of leaf properties. This project conducted the first detailed evaluation of spatial and temporal dynamics of fire at the Andean treeline, to quantify the implications for carbon emissions. An intensive study region in the southern Peruvian Andes was used to determine the environmental controls on fire ignition and spread, quantify the carbon emissions and recovery times associated with specific fires. This project looked at ecosystem-based approaches to climate change migration and adaptation in Europe, screened adaptation strategies and identified obstacles that prevent integration. It identified success factors enhancing the integration of ecosystem-based approaches and good practice examples along with a cost-benefit analysis, comparing traditional engineered approaches. This project's aim was to kickstart the development of appropriate conceptual frameworks, methods and integrated models for understanding human adaptation to change in biodiversity and related ecosystem services. It was hoped this work could be used to predict outcomes for biodiversity, ecosystem services and human well-being and provide evidence for the utility of these outputs to a new network of researchers and policy makers. 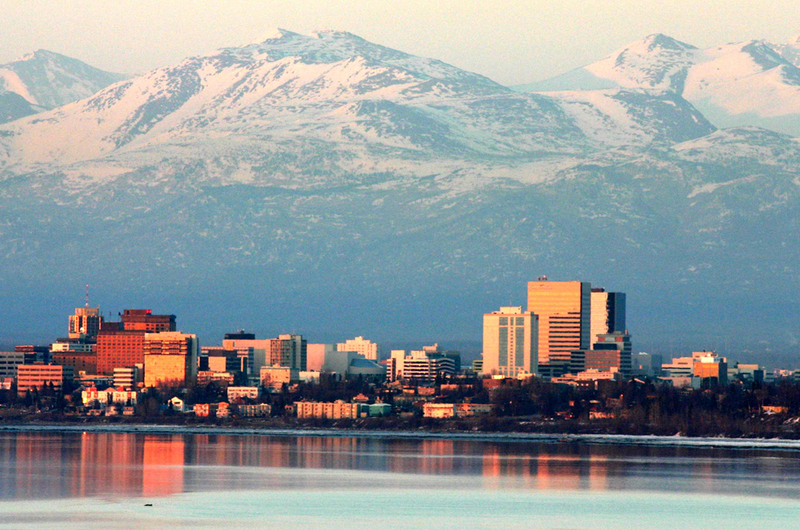 The objective of the project was to analyse how the creation of Alaska Native business corporations transformed institutional arrangements between Alaska Natives, state governments, ecosystems, and regional-global economies. They looked at how Native corporations have contributed to particular outcomes in indigenous groups' biocultural health as measured by indigenous and cross-cultural models of sustainable livelihoods and ecosystem services. While the role of Amazonia in the carbon cycle is clearly of global importance, its behaviour is contentious, even for that portion not undergoing rapid land use change. This project sought to understand the carbon balance of the whole Amazon Basin, which was thought to be critical in determining its role in either slowing or accelerating climate change through the 21st century. Some global circulation models suggested that Amazonia may be vulnerable to extreme drying, with a significant probability of enhanced dry seasons in eastern Amazonia. Long-term drying, increased drought frequency and the leakage of deliberate fires into forest areas, were likely to be major agents of forest transformation rather than changes in forest ecology and physiology. It was thought this impact would have an important influence on global carbon cycling which this project sought to investigate. Management of the Kruger National Park in South Africa acknowledges that savannas are dynamic ecosystems. Complex interactions between edaphic conditions, herbivory, competition, climate, fires and human management influence ecosystem pattern and process at a range of spatial and temporal scales. This project utilised palaeoecological techniques like fossil pollen, charcoal and stable isotope analysis to study vegetation change over time-scales of hundreds to thousands of years. The UK National Ecosystem Assessment (UK NEA) was the first analysis of the UK’s natural environment in terms of the benefits it provides to society and continuing economic prosperity. Part of the Living With Environmental Change initiative, the UK NEA commenced in mid-2009 and reported in June 2011. It was an inclusive process involving many government, academic, NGO and private sector institutions. Living with environmental change poses a number of management and policy challenges, such as having an understanding of how resilient ecosystems are in terms of buffering the impact of external pressures. The aim of this project was to take stock of the scientific, management and policy literature on this topic, and assess the robustness of the evidence base that could be used to frame policy and management responses. The objective of this research project was to understand the factors influencing the practical application of the UK climate projections 2009 to land management for environmental benefit. The overall aim was to have an improved understanding of the practical processes and the strategic choices and challenges involved in applying the UK Climate Projections (UKCP09) to land management for environmental purposes. This book takes another look at the costs of adapting to climate change. The estimates for 2030 used by the UN Framework Convention on Climate Change are likely to be substantial under-estimates. This report aims to demonstrate the need for the further and transparent refinement of cost estimates for responding to climate change. This study provided policy and decision-makers in North East England with an assessment of how biodiversity in the region might be impacted in the future by climate change. It provided guidance on the sorts of policies and actions that could help species and habitats adapt. A major research programme took place in the Andes, using a transect of study sites ranging from the lowland Amazon forest to the high Andes to understand what determines the carbon dynamics of Andean montane forests, and how this may be altered by climate change. The fundamental objective was to understand how the allocation and stocks of living biomass vary with elevation along an altitudinal transect in the tropical Andes. TROBIT is a NERC-funded consortium project looking at what drives changes in vegetation structure across wet-dry transitions in the tropics. Its focus is on fieldwork in Africa, Australia and South America. ECI's role within this consortium was to compile climatic data for these regions and to use remote sensing techniques to look at vegetation structure and phenology. Biodiversity provides many services from which humans benefit, such as the provision of food, fibre and fuel, regulation of air and water quality, flood protection, pollination, control of pests, recreation and ecotourism. RUBICODE defined and evaluated components of biodiversity which provided specific services to society. This project aimed to increase our understanding of the value of biodiversity services and consequently the cost of losing them. Scientifically, the central African rainforest was the least understood of the world’s major tropical forest regions, at a time when its large cultural and biological diversity was buffeted by an increasingly complex array of economic and political factors. The aim of this study was to produce an above-ground biomass and carbon map of the Congo Basin Forest using Gabon as a case study. QUERCC addressed land surface processes over timescales from days to centuries, with particular emphasis on the carbon cycle. Some processes were already well represented and validated in Dynamic Global Vegetation Models (DGVMs), while others that were known to impact on the carbon cycle were not. The project aimed to create a global map of plant functional types that exert significant impacts on the carbon cycle. The MACIS project provided a detailed assessment of already observed and potential impacts of climate change on biodiversity. This included the impacts of the measures to adapt and to mitigate climate change, developing advanced prediction models and identifying policy options to prevent and minimise the negative impact of climate change. BRANCH was a three year multi-partner, multi-project programme aiming to identify, develop and advocate spatial planning mechanisms to allow for the adaptation of both terrestrial and coastal biodiversity habitats to changing climate in NW Europe. Wytham Woods is an ancient broadleaved woodland just outside of Oxford. Since 2004 researchers have been studying the carbon dynamics of a one hectare patch of this woodland (in collaboration with the Centre for Ecology and Hydrology), with a particular focus on understanding how seasonal variations in temperature, water supply and light affect ecosystem dynamics. This research project was established to inform regional decision-makers about the likely impacts of climate change on biodiversity and of the policy implications of such impacts. The aim was to ascertain how characteristic species and their habitats in each of England’s regions will be affected by climate change over the next 50 years and provide clear and concise guidance for those involved in the decision-making process. Pan-Amazonia was an interdisciplinary research project coordinated by the Environmental Change Institute and supported by the European Commission under the FP6 programme. The overall aim was to advance our long-term understanding of the Amazonian forest structure and function in the face of global climate change. Using a process of adaptive management, this project aimed to produce biometrically rigorous methods to determine whether levels of harvesting of medicinal plants are sustainable in India and Nepal. The project involved working in collaboration with local communities, using participatory approaches and combining scientific and local knowledge to make methods accessible and usable at a local level. This research used case studies and in-depth interviews to explore with communities and foresters, their experiences and perceptions of forest restitution and its impact on ecology, livelihoods, community and institutions. The BioWatch UK project sought to involve communities, amateur enthusiasts or 'the public' in the assessment of biodiversity to change values and interest levels of those involved. It was hoped this would help raise awareness of the Convention on Biological Diversity and increase public interest in meeting its targets. This project used participatory methods to explore the impact of invasive species on local communities and farmers in Ghana. The species (Neem and Leucaena) were introduced as 'useful' plants, but became over-abundant and problematic for some people due to unchecked growth. A manual was written with guidelines on how to identify invasive species, how to prevent species invading and how to deal with them once they are present. The purpose of this project was to develop and implement in collaboration with park management authority, local experts, local communities and students, a participatory management plan for the Rodna Mountains National Park and Biosphere Reserve (PNMR) and promote the methodology as a model of regional significance. The aim of this project was to develop more user-friendly and useful field guides. The project combined participatory processes with botanical plant identification and a manual was produced to document processes that should be followed in the writing of field guides, aimed at a wide target audience from botanists to local communities and NGOs. This project reviewed ten conservation sites in Oxford, with the aim of understanding what motivates people to take up conservation activities and what that in turn achieves. Project leads and volunteers were interviewed, to hear about their experiences and to gain a better understanding of how and why people engage in these activities and what changes for them as a result. This study looked at how significant species, such as Black Polar, are treated through the Biodiversity Action Plan (BAP) framework and how the value of different factors influence the processes and outcomes of BAPs. It sought to investigate the implications of their findings for a more participatory approach to environmental governance. The many challenges for water management in developing countries are well documented. Integrated water management seems difficult, where conflicting and overlapping institutions exist and the way which demand is expressed is very different from the way potential solutions are managed at the local or state level. The overall goal of this project was to develop recommendations for a sustainable decision making process, based on several research issues and encompassing an adaptive tool box, guidelines and policy recommendations. The purpose of this project was to produce and implement, through participatory processes, a management plan for the sustainable production and commercialisation of medicinal plants by indigenous communities in Peru. This involved monitoring natural populations of the plants, collating local knowledge and scientific and market information about the plants to create a suitable management and development plan. The aim of this project was to map the spatial and temporal extent of drought in the Amazon and its forest canopy using field researchers in the region, as well as to assess the impact of the drought on tree-level ecological indicators and stand-level ecological indicators. The project sought to quantify drought responses and recovery of ecosystem processes including tree growth, litter-fall, leaf area index and root turnover. The MONARCH project was a three-phased investigation into the impacts of climate change on the natural conservation resources of the UK and Ireland. It used an integrated methodology linking established impact models to coherent climatological classifications to provide a valuable framework for studying the response of the key biodiversity elements to human-induced climate change. REGIS2 was a £320K project to address the need to assess impacts, adaptation to impacts and policy responses to climate change. The project involved the development of a metamodel tool for regional integrated climate change management in order to make the RegIS methodology available to the wider stakeholder community. The Northmoor Trust is based in South Oxfordshire and manages an estate of 300 hectares, including a nature reserve, a conservation farm and woodland dedicated to forestry research. The Trust is currently developing a visitors’ centre, the Landscape Evolution Centre, which aims to show how the local landscape has changed through time and how it might change in the future. This three year project aimed to assess the vulnerability of European agroecosystems to environmental change. The main aims included enhancing our understanding of the processes of agricultural land use change and the relationship between land use and species distribution. It sought to identify agroecosystems that are sensitive to change and evaluate whether an integrated approach could be developed for the conservation and sustainable development of agroecosystem. This project reported upon the use of remote sensing for estimating forest extent and measuring the relative abundance of priority conservation species within the remaining littoral forest fragments of the Mandana region. It was hoped this data would provide a clearer understanding of the forest structure and degradation. This project was initiated out of a shared concern and interest in the challenge of forest carbon accounting in support of the Kyoto Protocol, and in particular the potential of remote sensing to constrain some of the uncertainty inherent in existing models. The project aimed to investigate the capability of Synthetic Aperture Radar remote sensing, to estimate and monitor temporal change in biomass density of both managed and semi-natural forests. Land reclamation, dredging, and untreated sewage outlets resulting from urban expansion, and soil run-off due to deforestation are threatening many of the shallow coastal environments. This project sought to determine the dynamics operating within these ecosystems and the biodiversity of the infauna within seagrass meadows of the islands of the Seychelles. As well as a species diversity assessment the project evaluated the terrestrial pollutants on seagrass composition and assessed the level of protection afforded to seagrass habitats.